Our Collection at Boxers and Briefs contain only the Highest quality Lacoste Mens Socks. One of our recent additions are the Lacoste Sports Range. Get graphic with a versatile two-pack of Lacoste Sport socks. Crafted in a cotton jersey blend for ultimate comfort and lightweight performance. 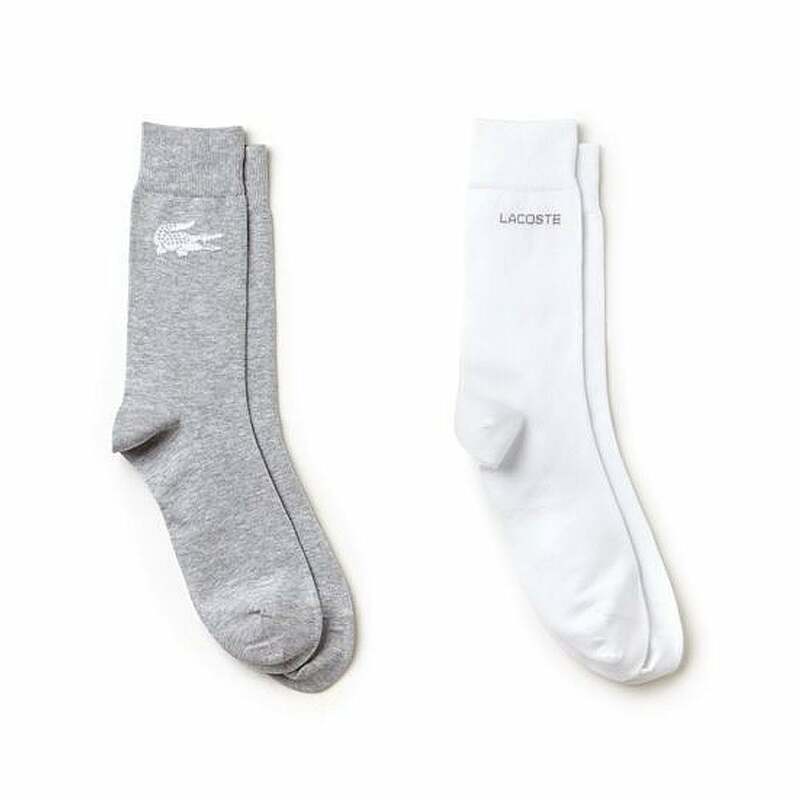 In this range we have the White / Grey Lacoste Sport 2 Pack Socks, which are available in UK Mens Shoe size 7.5-11.